The RN to BSN Program is developed for the associate degree or diploma RN who desires to obtain a Bachelor of Science in Nursing degree with convenience and flexibility. 100% of courses are offered online. Complete assignments from anywhere with an internet connection. Complete course work around your individual schedule. Courses are structured to allow students the flexibility to complete the program as quickly or slowly as they desire. The online program can be completed in 12 months. Students work with an advisor to develop a plan of study which meets their individual needs. Plans can be changed at any time, as student needs change. Course work is 100% online. No need to come to campus. Students choose how many courses they want to take at a time. 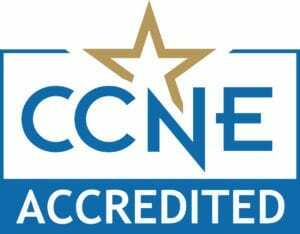 The baccalaureate degree program in nursing at Hannibal-LaGrange University is accredited by the Commission on Collegiate Nursing Education, 655 K Street NW, Suite 750, Washington, DC 20001, 202-887-6791.